Plenty of young new stars emerged this year that are expected to leave big mark in2019. The following are some stars that caught our attention and all of the mare predicted to have bright future and rise to fame in 2019. Kiki Layne is a 26-year old Chicago native that recently moved to Los Angeles and was a star of the movie called If Beale Street Could Talk, directed by Oscar-winning director of Moonlight – Barry Jenkins. Layne was exceptional in that movie and received praise for her role after the movie was premiered at Toronto Film Festival back in September 2018. There is a lot of buzz around this actress and she is expected to have some big roles in 2019. She is set to star in new movie called Native Son next year, alongside with famous actor John Goodman. Emerald Fennell is a British actress that is set to play Camilla Parker Bowles, Prince Charles` lover in the series The Crown. This is her first big role, but well deserved with her acting skills. Interestingly, she has connections with the royal British family by attending the same college as the princess Kate Middleton. 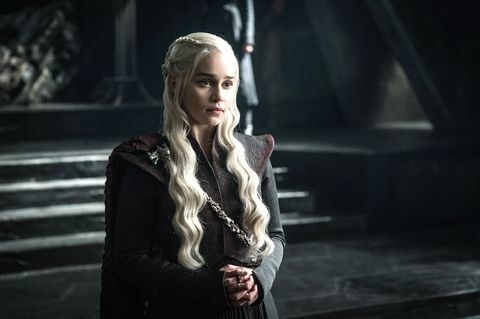 Game of Thrones lovers can rest assured because their favorite series will have several prequels in the work. One of them is called The Long Night, where the main Poldark actor Josh Whitehouse is set for the main role. This young actor was great in Poldark where he left big mark with his acting skills. Thomasin McKenzie is an actress often compared to Jennifer Lawrence because of many similarities between them. She is New Zealand native and so far she has performed in the independent movie called Leave No Trace, where she was outstanding in the role of daughter of army veteran. That movie got good reviews and Cannes Film Festival and the actress is expected to rise to her potential next year. She was casted to play in the new prequel of Top Gun that is in the works for 2019. There are few other roles set for her, so McKenzie is expected to shine in the film world next year. Lucas Hedges is a young actor with some pretty good acting experience. He was even nominated for Oscar for his role in the movie Manchester By The Sea, directed by Casey Affleck. He was also impressive in the roles played in Lady Bird and Oscar-winning movie Three Billboards Outside Ebbing, Missouri. Many are predicting that Hedges will receive another nomination for Oscar if he continues with his brilliant acting performances next year. An upcoming project in which he will be involved in is the movie called Honey Boy, an autographical movie about boy`s relationship with his father. These are some of the several exciting young actors that are set to leave mark in the film world for 2019. We will pay close attention to their upcoming movie projects, but we are sure that all of them will be very successful. Will Dating and Hookup Apps Still be Popular in 2019? Dating game and relationships have gone long ways since a decade or two ago. Nowadays everyone relies on their smartphones and other gadgets for all kinds of things.Whether is for shopping, getting informed or meeting people – apps have become integral parts of our lives. When it comes to dating and hooking up, apps are number one choices today for meeting new friends and potential partners. Dating apps are reliable and very convenient in these modern busy times. People love to use dating apps because they save valuable time, energy and money for meeting someone. Today you do not have to go out in bars or attend social gatherings to find someone you like to date. All you have to do is just create your profile online and start swiping and looking for potential partners. That is something millions of people do every day, so dating and hookup apps will definitely be even more popular in 2019. Besides convenience and easiness to use, dating apps are great because every person can find someone to date based on their interests. Regardless of whether you are interested for long-term relationship, quick hookups or short-term adventure – there is an adequate app for any taste. Also most apps are free or free-to-try so you can check them to see how it is like to use them for meeting someone. Meeting people through dating and hookup apps is lot easier than meeting someone in person. You are not limited to how many people you will contact and arrange date with. If you do not like someone then you can just move on and meet someone else. That is what people like most about these apps, because it cuts down their time significantly and they can meet someone very quick. The most popular dating and hookup apps today have hundreds of thousands of active members so finding someone to date is done in matter of seconds. There are even niche type dating apps such as MilfSwiper which matches cougars with guys. People that are shy by nature also love these apps because they are ideal ‘ice-breakers’ before actually meeting someone and going on a real date. You can also see the photos of other people that are interested in dating and all of that eliminates the awkwardness of meeting someone blindly without knowing how they look, what they do, or what they interests are. All in all, dating apps are designed in such way to help people quickly find what they look for without unnecessary obstacles. We can conclude that dating and hookup apps will still be very popular in 2019, so if you have not tried them before now it is perfect time for you to start using them. Explore among hundreds different dating apps and choose the one according your preferences and interests. 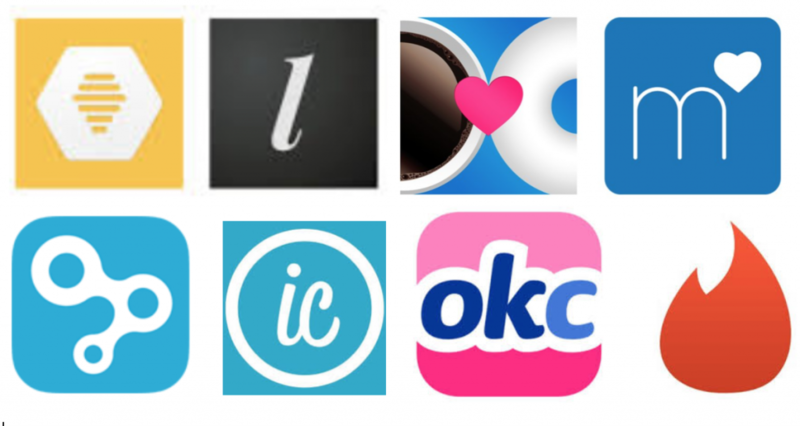 You can find more examples of dating apps via Dirty Usernames which is a forum board for members on dating platforms. You will see that meeting someone for a date can be arranged quite easily and in a matter of minutes. Dating apps are here to stay, so jump into the action and enjoy meeting interesting new people. Almost all rich celebrities want to show off their lifestyle by purchasing some really expensive stuff. From going on exotic vacations, buying diamonds and vehicles to buying extravagant houses that are larger than life. They want to have the best of everything and rightfully so because they can afford it. 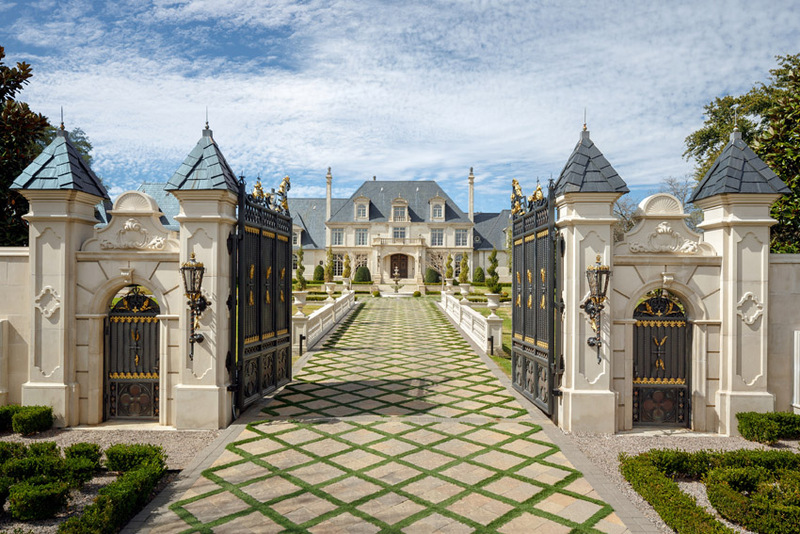 Many celebrity stars use their wealth for buying stunning mansions at different parts of the world. Some of them have become real estate moguls and own several big houses while some own one, but really expensive mansion in which they live. Anyhow, there are plenty of beautiful expensive homes owned by celebrities, but the following are the most expensive ones. George Clooney owns an estate worth whopping $100 million!His Villa Oleandra at the banks of Lake Como, Italy is one of the most stunning properties in the world. The villa has been built back in 18th century and it is a combination of Italian old charm and modern architecture. It has everything you can expect from a property priced so expensive. Ornate ceilings, marble floors, gyms, several bathrooms and spas, cinemas, dining rooms and several bedrooms are just a few things found inside. Outside there are a few beautifully landscaped gardens, tennis courts, large garage, an outdoor movie theater, and a swimming pool. Oprah Winfrey is a proud owner of a big house in Montecito,California estimated also at $100 million. It spreads on over 65 acres and shehas made numerous lavish renovations and upgrades in the house that shepurchased for half the price back in 2001. Her very large mansion features 6bedrooms, 10 fireplaces, 14 bathrooms, 2 movie theatres, one tennis court,large barn, wine cellar, an expansive guesthouse with swimming pool, privateponds, gardens and orchards, and a lake. There is even a tea house and rosegarden among plenty of other things. Brad Pitt owns his own castle worth $67 in the south part ofFrance. His property called Chateau Miraval was bought by him and his then-wifeAngelina Jolie in 2008 and they got married on the property in 2014. Theproperty features a chapel built in distinct architecture, it has private olivegroves, forest, a lake, vineyard and numerous fountains. The property covers anarea of 1200 acres and there are several structures dating back from the 17thcentury. An unbelievable fact is that the main house at Chateau Miraval has 35rooms. Tom Cruise`s house in Colorado is worth $59 million,covering an area of almost 300 acres. The main house is ten thousand squarefoot large, featuring seven bedrooms, nine bathrooms, recreational room, biglibrary and a separate guesthouse. On this property there are also horse ridingstables and private helipad for Cruise and his guests to quickly come and go ofthe property. Ryan Seacrest`s house worth $49 million circles the list ofmost expensive celebrity houses in the world. His luxurious house located atHollywood Hills features nine bedrooms, a large swimming pool and fewguesthouses. There is no doubt that celebrity couples have always fascinated people. They always look perfect in the eyes of regular people who always dream to live the life that their favorite celebrities are living. There are many celebrity couples that worth to be mentioned and there always will be new couples that leave mark in the passing year. 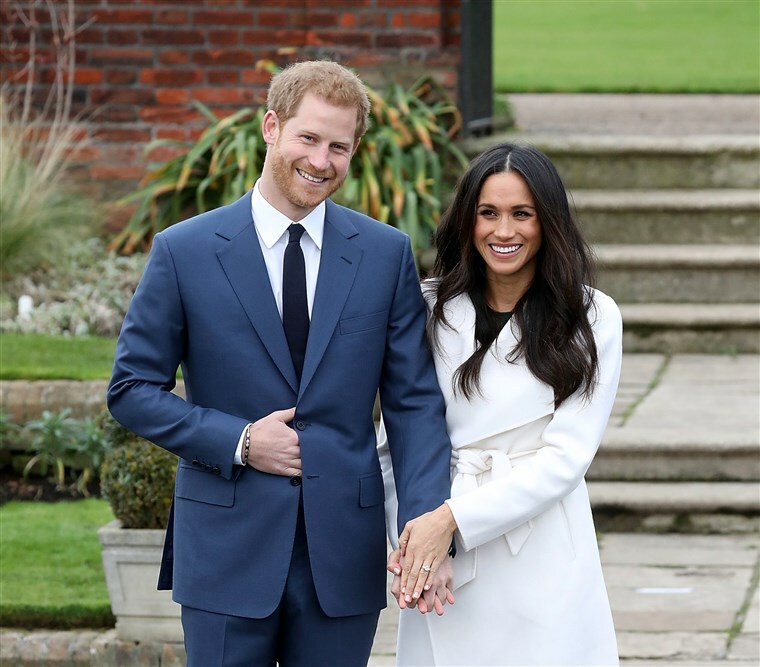 However, this year 2018 was marked by our favorite celebrity couple – Prince Harry and actress Meghan Markle. All eyes this year were pointed at the wedding in England which happened on May 19th. Prince Harry and Meghan Markle promised to eternally love each other in the beautiful St. George`s Chapel in the Windsor Castle. After they got married, they have become known as the Duke and Duchess of Sussex. The day of their marriage brought millions on viewers and spectators from all over the world. Markle was wearing beautiful white dress made by the famous British designer Clare Keller, who is a director of the French fashion store Givenchy. Harry was wearing a very attractive outfit appropriate for royal members. Prince Charles was the one that escorted Meghan down the aisle at the wedding and all famous celebrities were in the attendance – David and Victoria Beckham, Tom Hardy, Oprah Winfrey, George and Amal Clooney, Idris Elba and many more movie stars, music stars and sports stars. Before getting married there was a lot of drama involved with Meghan Markle`s father who was filling the pages of tabloids, but that did not ruin the wedding nor the romance between Harry and Meghan. The paparazzi photo scandal was a little damaging to the reputation of Markle, but it was handled well and everything calmed down without too much fuss. The next big exciting thing that our favorite celebrity couple of 2018 announced is the baby on the way! Megan is pregnant and the happy news was announced in October. So sometime in spring of 2019 we will see the new royal baby that will surely take the main stage in the celebrity world. It will also become the seventh child in line for the royal throne after getting born. In the meantime, Meghan Markle and Prince Harry continue with their regular activities and they are often spotted and many different social events, gatherings and popular places around the world. This celebrity couple is non-stop present in the media, quickly becoming favorites to many people in the world. One of the most search terms in online search engines for 2018 was ‘Meghan Markle’ which clearly proves how popular she and her husband are. We love good stories with happy endings and we will closely look what 2019 will bring for our favorite celebrity couple. There are many exciting things coming up, so stay tuned and up to date with the latest news. At the end we can say that we really wish Prince Harry and Meghan Markle a happy and prosperous next year, filled with great things. Year2018 is almost over so it is time for recap of things. We can say that this year was really exciting for many people. Some will remember it for good things, others for not so good things, but once again – celebrity world was active and filled the online pages with all kinds of things. Probably the bestHollywood story of 2018 was the unexpected relationship and subsequent breakup between famous pop-singer Ariana Grande and ‘Saturday Night Live’ cast memberPete Davidson. Ariana Grande was constantly present in the media in 2018, both with her singing performances and with her private life. 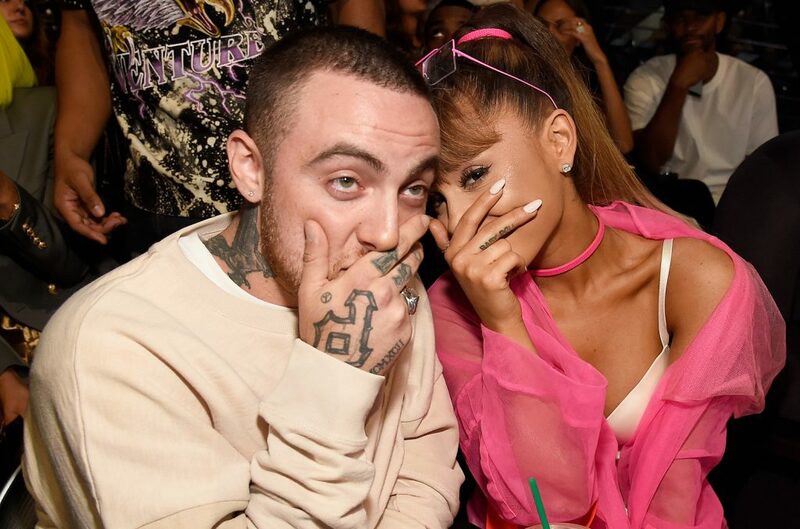 She used to date the late rapper Mac Miller up until May 2018 when they broke up. Soon after that, a rumor has spread that she has been casually dating SNL cast member Pete Davidson. It all started with a friendly relationship and going on walks then quickly continued with something more serious. Both Grande and Davidson looked very happy every time they were spotted by the journalists and fans. Their relationship quickly became one of the hottest stories of 2018. Pete Davidson proved his love by getting two tribute tattoos for his girlfriend just a couple of weeks into their relationship. One tattoo was the initials of Ariana Grande and another was the black bunny mask that Ariana Grande wore on the cover of her popular album – ‘Dangerous Woman’, tattooed on his neck. Things moved really fast between the 24-year-old SNL star Davidson and 25-year-old singer Grande and they announced their engagement in June. After the couple engaged, they moved in into a fantastic apartment worth $16 million in the luxurious neighborhood Chelsea on New York`s Manhattan. The apartment was bought by Grande and the couple looked happiest they have ever been. They even adopted a beautiful piglet called Piggy Smalls, which both loved. However, just as it started unexpectedly, the same way their relationship ended. Suddenly rumors started to spread that their relationship is shaky, and soon after Ariana Grande`s team confirmed in mid-September that the couple have broken up and that the engagement is off. Ariana Grande has stated a few times that she wanted to spend time on her own and focus on music career, so that was the end of the relationship. The broken romance was hard to take for Pete Davidson, as he mentioned a few times that he feels sad and depressed after the breakup. He did return in Saturday Night Live sketches, but it seems like he is still recovering from the broken heart. Only Grande and Davidson know the real truth about what happened between them and where did it go wrong, but there is no doubt that their relationship and breakup left big impression this year. Unfortunately their beautiful romantic story did not last long, but that is the life of celebrities. Someone new will enter their lives soon enough and we are hoping that 2019 will be even more interesting with stories than this year.